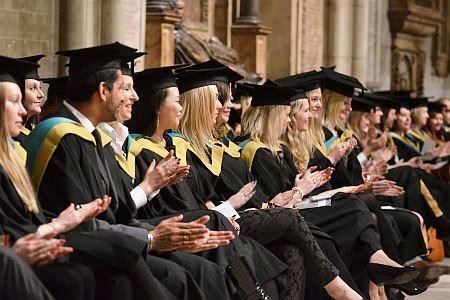 Graduands are required to wear academic dress. If you are not correctly attired, you will be unable to take part in the ceremony. Business attire is required, jeans and/or trainers or other informal wear are not acceptable, under any circumstances; national costume is acceptable. Many of the internal floor and external ground surfaces are uneven and can become slippery, so please wear suitable footwear – ladies are asked not to wear shoes with exceptionally high heels! It should also be noted that the due to the lighting conditions, illumination will be low in some areas of the Cathedral and its precincts. Warm clothing is strongly advised.